Waitonga Falls was a waterfall that attracted attention to Julie and I during our pre-trip planning when we learned that it was said to be the tallest waterfall in Tongariro National Park. 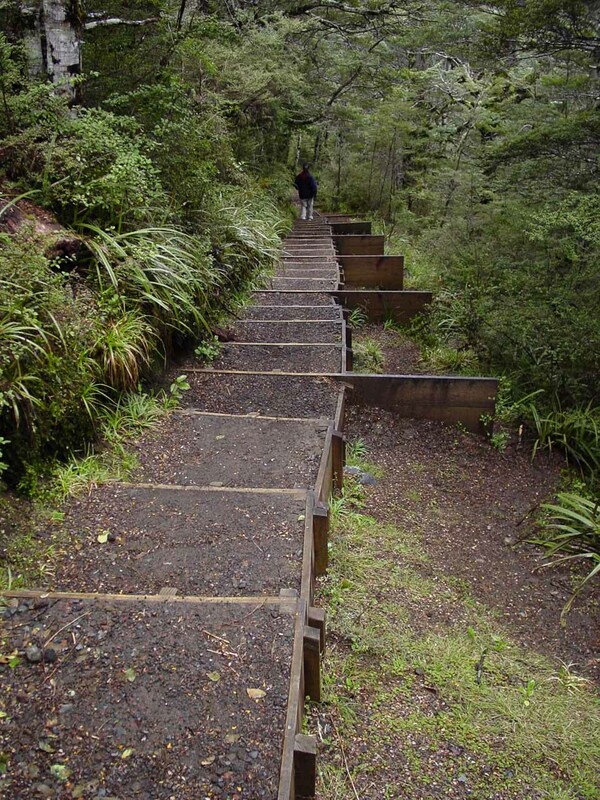 Upon learning that Mangawhero Falls was also nearby, we made it a point to make the detour to Ohakune and see what the waterfall was like. Our interest amplified when we considered that we hadn’t seen any photos of it prior to our visit. 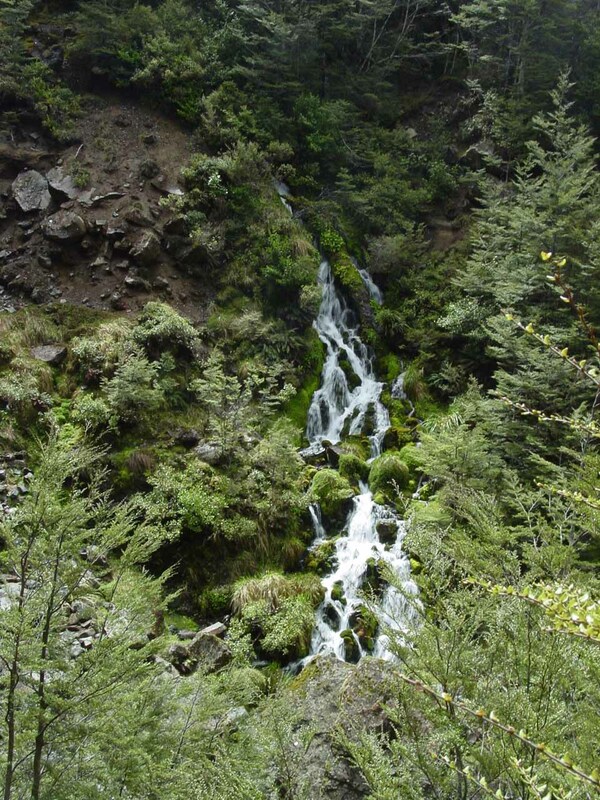 And as you can see from the photo above, our curiosity rewarded us when we finally made it to this twisting two-tiered 39m falls amidst the rugged volcanic slopes of Mt Ruapehu. 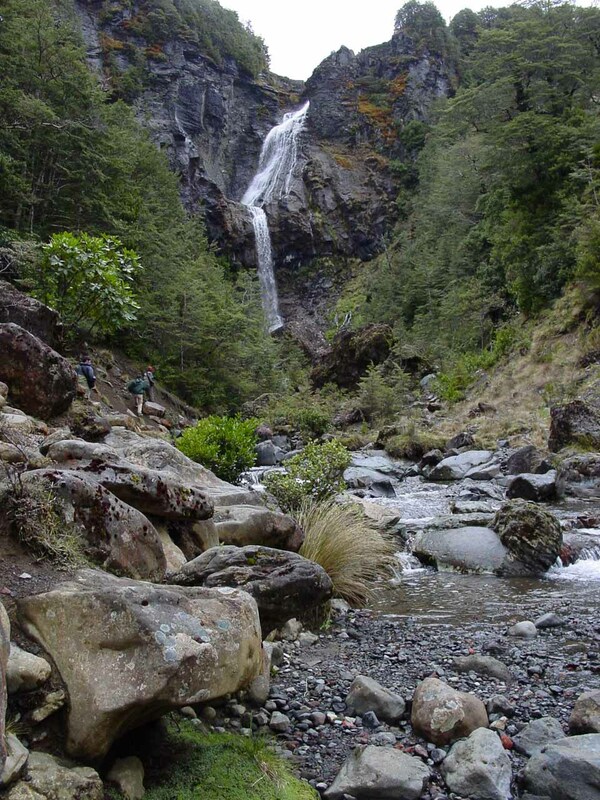 Our excursion to Waitonga Falls began from a well-signed car park right off of Ohakune Mountain Road. According to the sign here, the waterfall walk was supposed to be 80 minutes return. 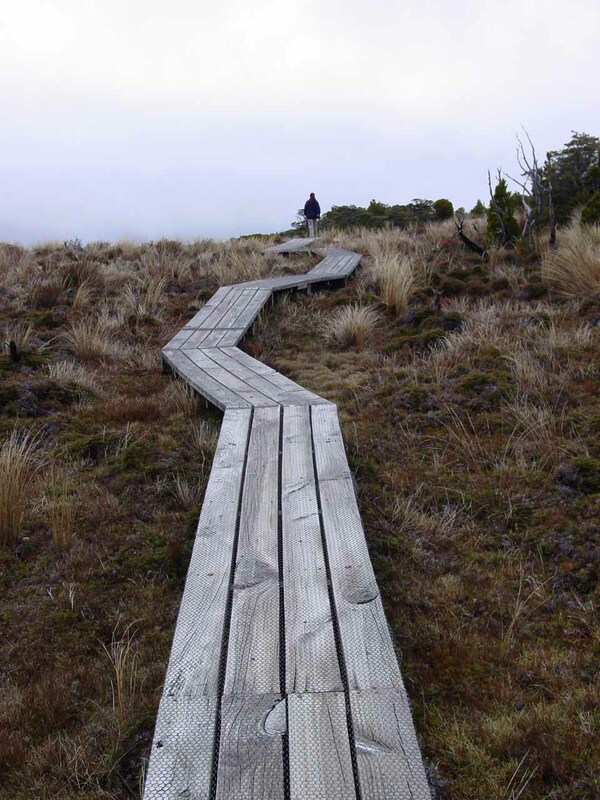 The track was also shared with the Round the Mountain Track, which appeared to be a multi-day tramp around Mt Ruapehu with huts strategically placed along the way for overnighting. 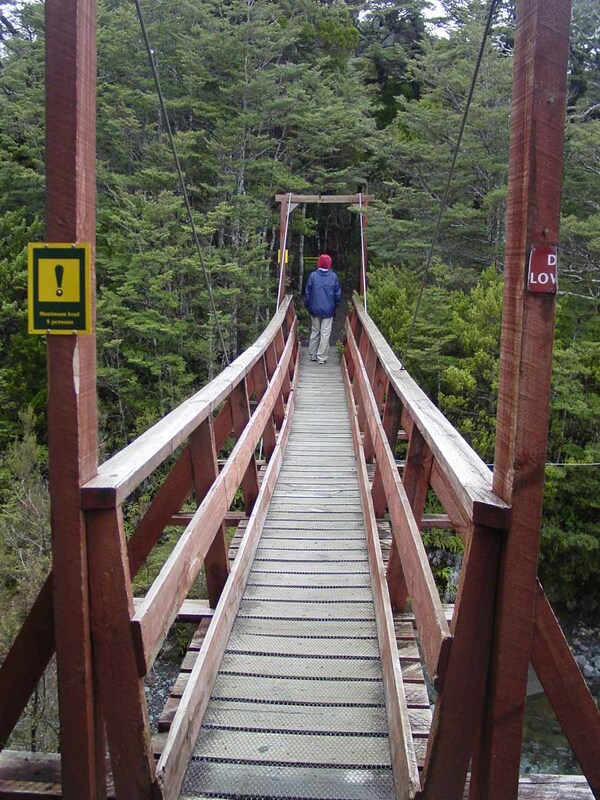 The hiking path then descended towards a small suspension bridge where signs around the area warned that we were in a lahar zone. 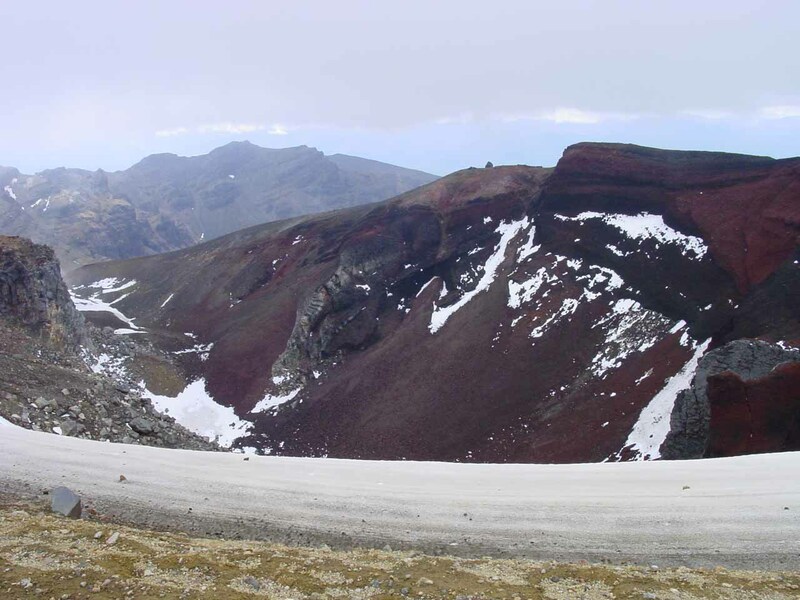 Lahars were flash floods composed of mud flows induced by volcanic eruptions that rapidly melted any snow given the superheated gas release. 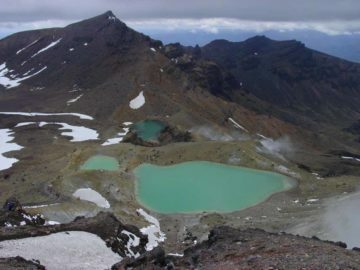 The signs attested to the active nature of Mt Ruapehu. 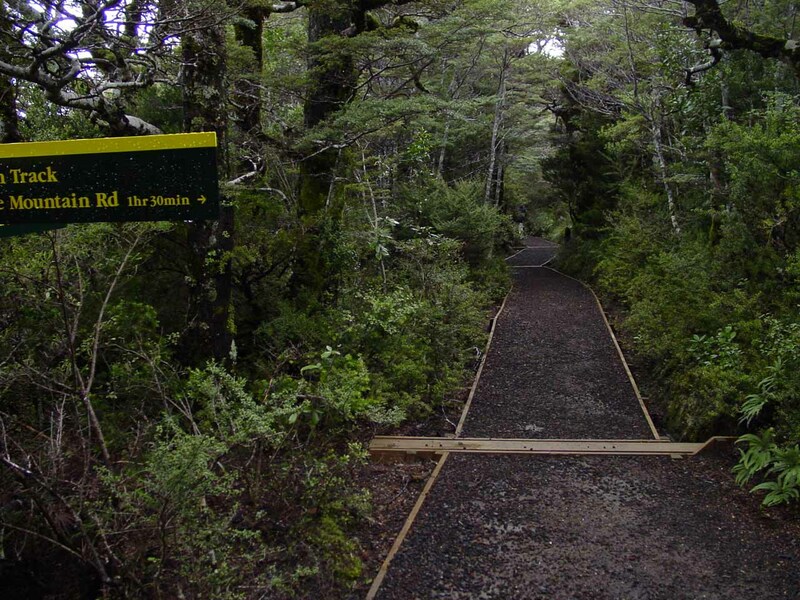 After the suspended bridge, we hiked on conventional dirt track that was flanked by interesting native ferns, shrubs, and trees. The track undulated up and down along a mix of more dirt track as well as some wooden boardwalks. Along the way, we encountered a signposted junction for the Old Blythe Track, which we didn’t pursue. There was also a sign pointing the way to the falls so that helped to ensure that we wouldn’t get lost. 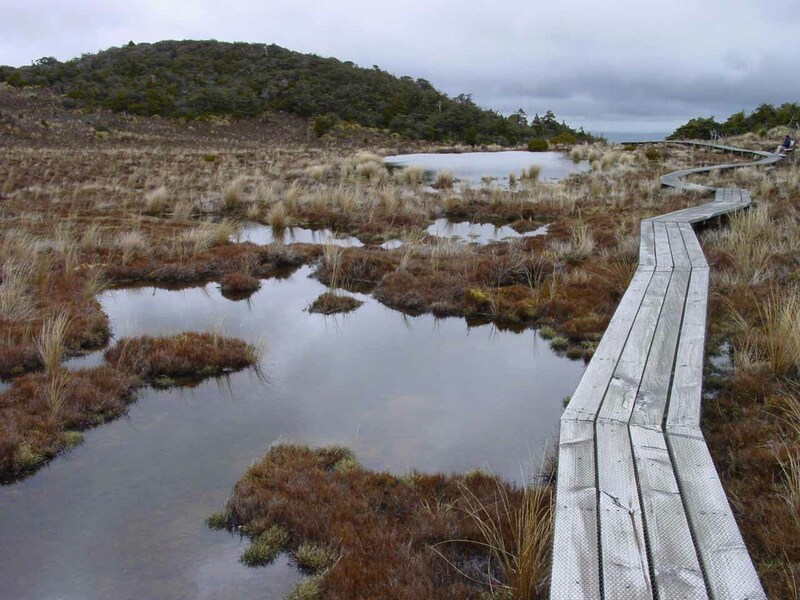 Eventually after 20 minutes from the trailhead, the bush track started to rise then give way to an open scenic bog area where a boardwalk traversed the mushy terrain. For some reason, this section reminded me of the Dead Marshes in the Lord of the Rings movie as there were standing pools amidst the bog that created an otherworldly quality about it. 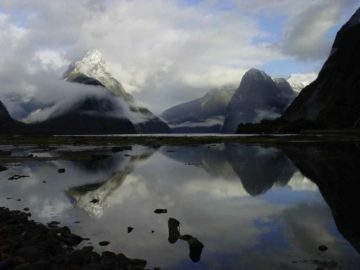 That said, according to the DVD, the actual location of the Dead Marshes was some remote area in the South Island. 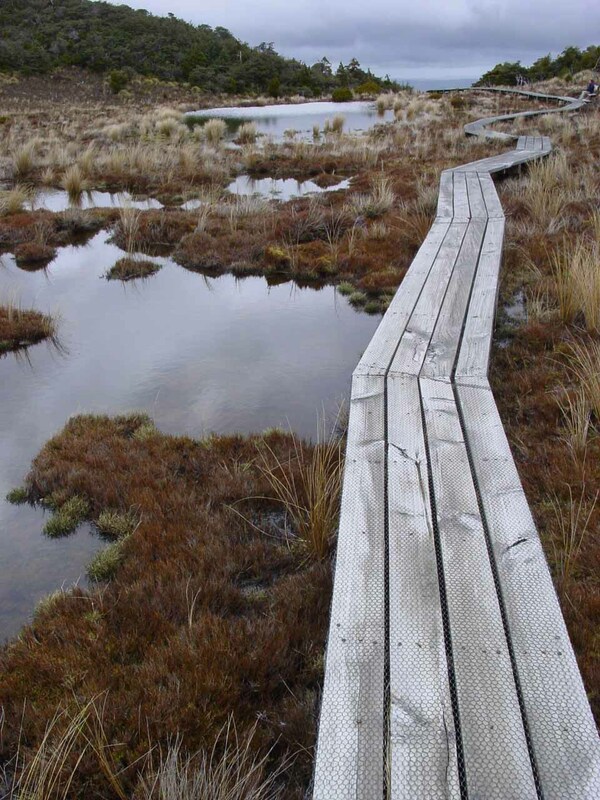 When we finished the traverse of the scenic bog, the track then descended back into a more forested terrain along a series of elongated descending steps comprising a pair of long switchbacks. 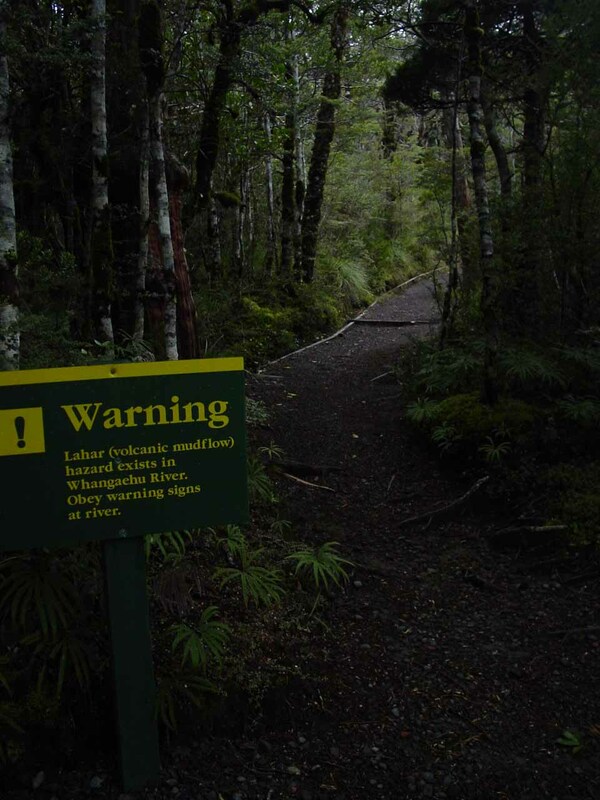 It was in this section that we finally started to see part of Waitonga Falls between the trees. 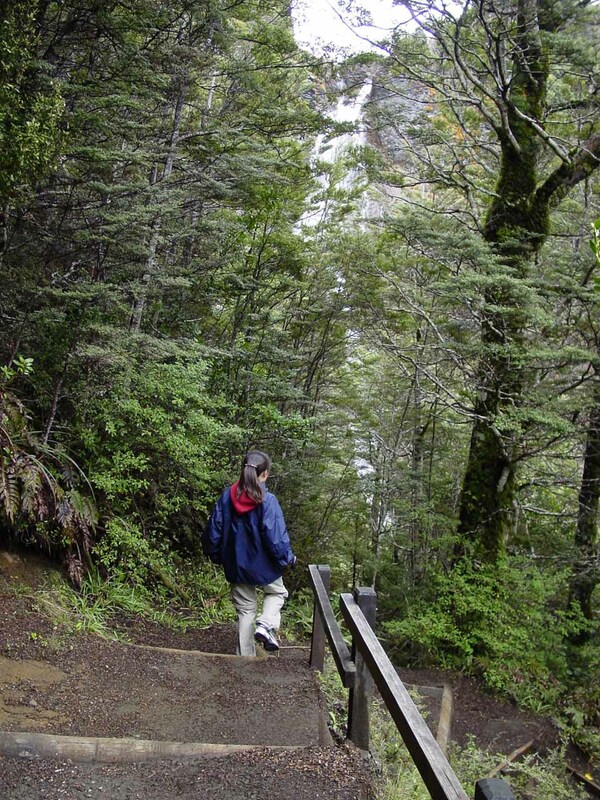 At the tip of the second switchback, we noticed there appeared to be an informal trail of use seemingly leading closer to the falls, but we decided to explore this spur path later. 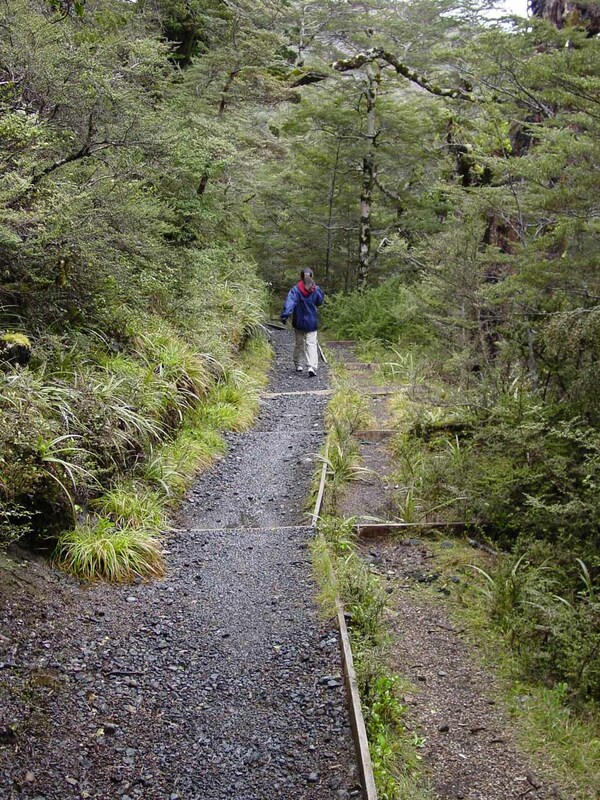 So we decided to keep going on the main track, which ultimately bottomed out by the Waitonga Stream. 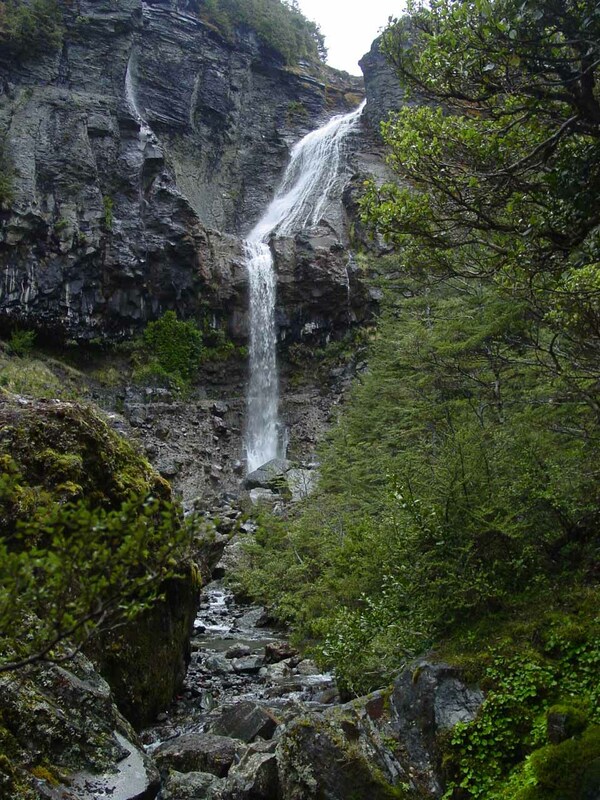 Looking further upstream, we could see the twisting Waitonga Falls beckoning us to come closer, but that would require a bit of a stream scramble. Julie and I ultimately made it up to where we were right next to a lighter-flowing mossy cascade that flowed just before Waitonga Falls. I suppose we could have gone even closer than where we were at, and perhaps we might have even been able to get behind the lower plunge of the falls if we were so inclined (like a couple of young guys just did when we got there). But further scrambling meant more navigation through large boulders as well as dealing with the relatively fast flow of the creek. 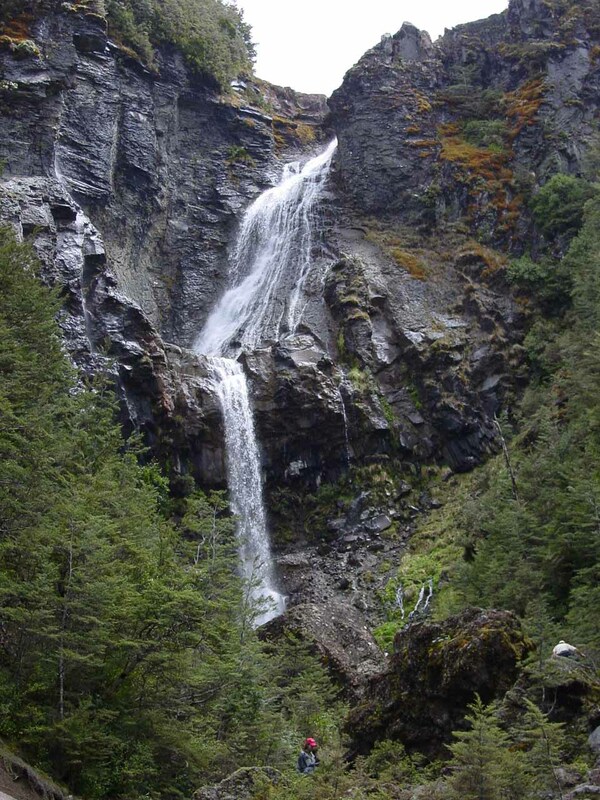 When we returned to the elongated switchbacking stair-stepped path, we made good on our desire to explore that informal path for a different view of the falls. This path was a little bit iffy because it was overgrown with a couple of pretty slippery spots adjacent to some dropoff exposure. 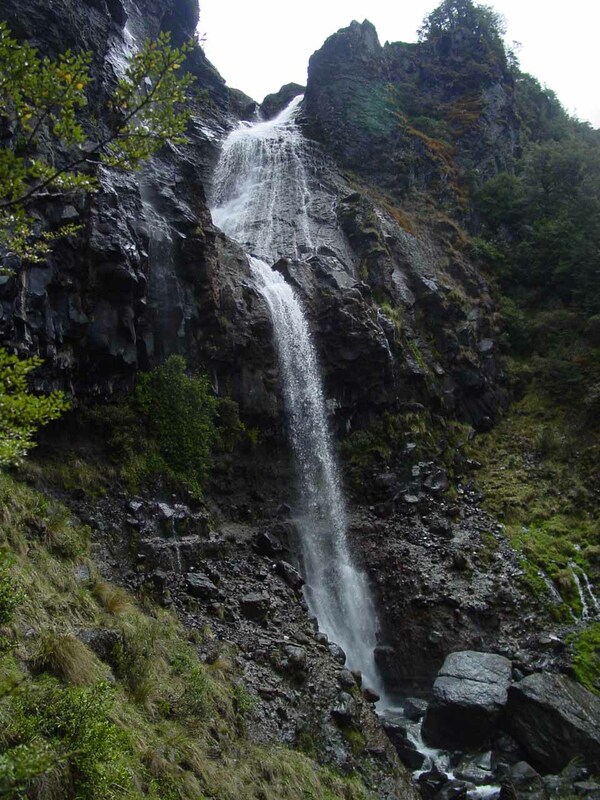 However, when we eventually got to the end, we were able to get a pretty unobstructed angled view of Waitonga Falls as well as the companion waterfall that we stopped behind further downstream. The sun had just started to momentarily break through the cloud cover when we got there at around midday so we were somewhat looking against the sun from this unsanctioned viewing spot. Anyways, when all was said and done, we ended up spending nearly 2 hours away from the car. 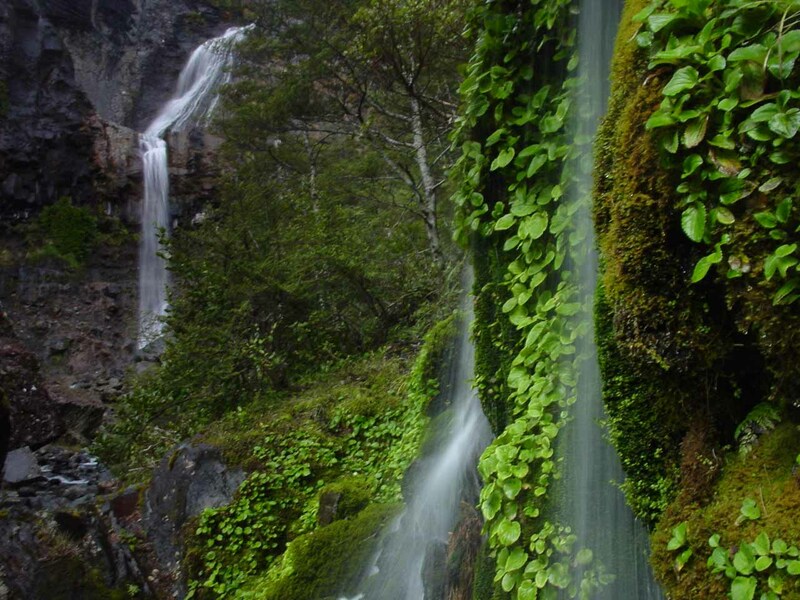 So we decided to give this waterfall a 3 in its difficulty rating to reflect this. 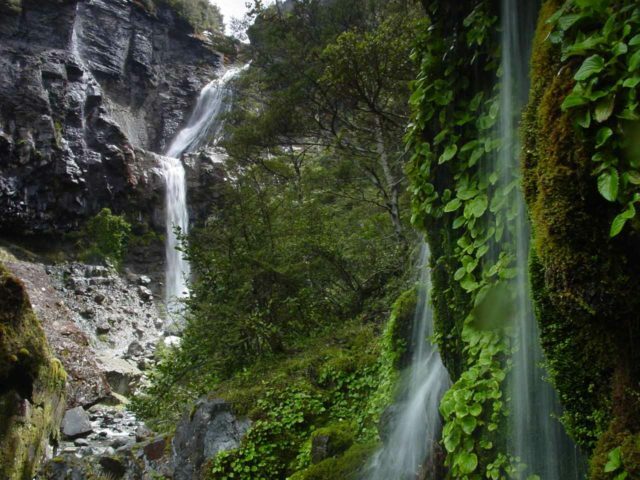 Waitonga Falls is administered under the jurisdiction of the Department of Conservation. For information or inquiries about the area as well as current conditions, visit their website. 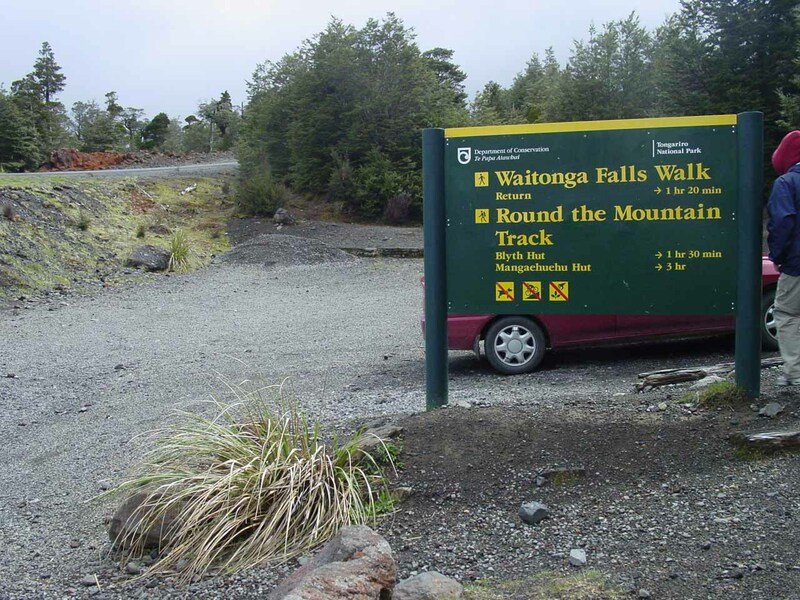 The car park for Waitonga Falls was about 1.4km before the car park for Mangawhero Falls from Ohakune along the Ohakune Mountain Road. 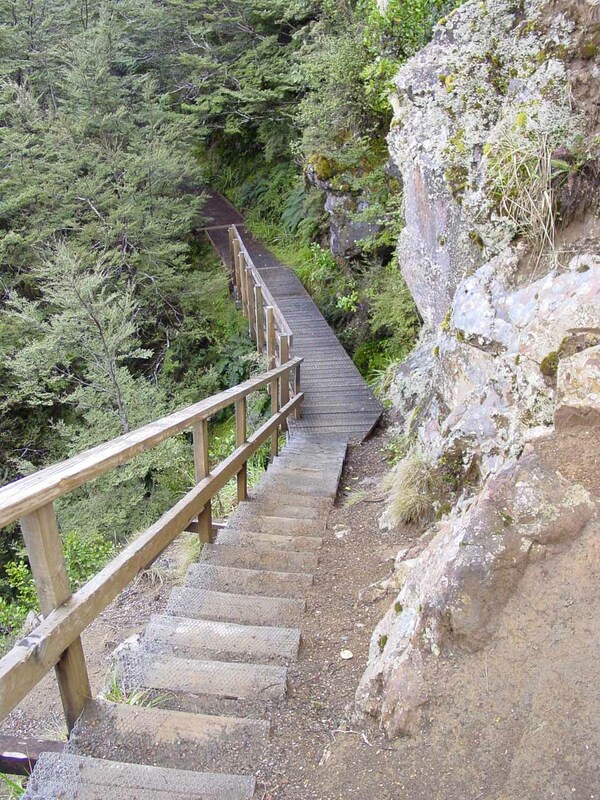 See that page for details on getting to Ohakune. 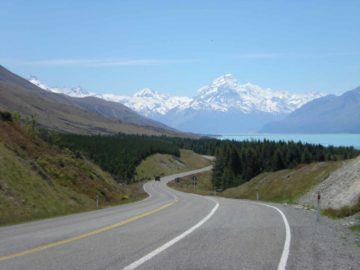 For reference, we drove from Turangi to Ohakune via the Desert Rd (SH1) to Waiouru, then on the SH49 to Ohakune. This drive was about 94km long. Turangi was about 50km south of Taupo. Taupo was nearly 3.5 hours drive (278km) south of Auckland. 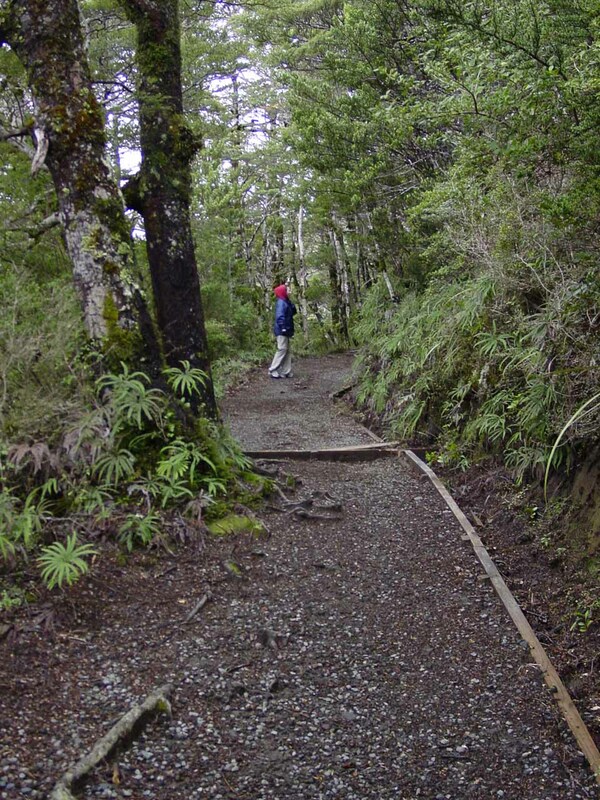 In the other direction, Ohakune was about 100km north of Wanganui.